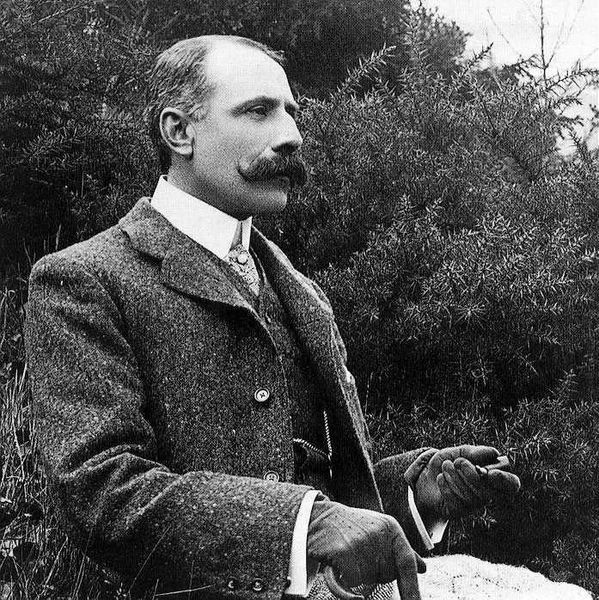 First impressions of Sir Edward Elgar are that he looks like a quintessential English Gentleman in most of his photos, with a large "handlebar" moustache and frequently pictured in a rural location. His music too seems to be very English with some pieces closely associated with that very English of occasions called "The Last Night of the Proms". However the truth is more complicated than this, both for the man and his music. He was a catholic in a protestant country. As a composer he was largely self-taught, so he lacked the social connections and the authority which come from an academic study of music. His musical style also grew from European traditions and is particularly close in style to that of Johannes Brahms and the late Romantics such as Gustav Mahler and Richard Strauss. Young Edward certainly had some musical influences as a child. He was born in a village near Worcester, where his father was organist with a music shop and piano-tuning business. His musical education was not formal, but he learned to play the organ from his father and taught himself to play the violin so he could join the local orchestra. 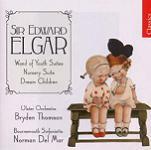 Elgar left school at 15 and started a musical career giving piano and violin lessons. At 22 he became the bandmaster at the Worcester and County Lunatic Asylum, and in that post he wrote and arranged many works to be played at local occasions. With this and conducting and performing positions in other local groups, Edward Elgar became a skilled arranger and orchestrator. This marked the start of his initial creative period, and some of his first works were performed and published. Elgar then married Caroline Alice Roberts, one of his piano students against the wishes of her family: she was the daughter of a retired army general. Alice dedicated herself to her husband's career, and his reputation as a serious composer began to accelerate. 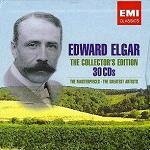 During the next 30 years until Alice died, Elgar completed most of his major works. His reputation grew significantly with critics and with other composers (Richard Strauss was an admirer of his work), and his music was regularly celebrated and performed. 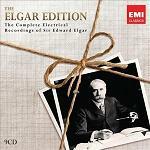 Elgar also formed a close friendship with his publisher, August Jaeger, who was the inspiration for the "Nimrod" variation in the Enigma Variations. The composer also embraced modern technology and was one of the first major composers to record his own music - see recommendations below. Recognition of the composer's international standing came in 1904 when he received a knighthood. 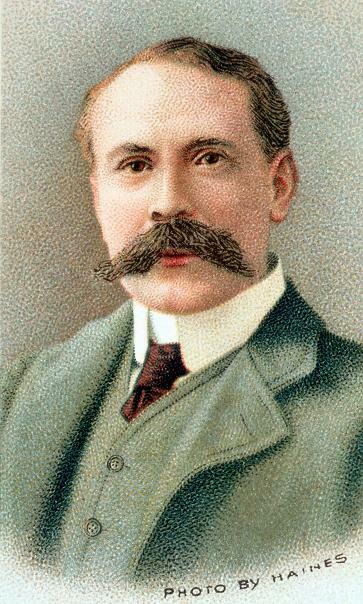 After his wife's death in 1920, Elgar's creativity decreased but his musical stature and influence lived on. 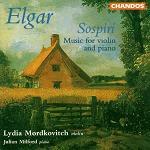 Edward Elgar is now seen as the first of a new wave of English composers and, despite it being based on German and to some extent French traditions, elements of Elgar's style are forever associated with Englishness. Some of his themes are noble and majestic, but his music is frequently melancholy and can be surprisingly complex. 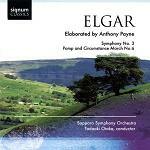 When Elgar himself died he left sketches for a Third Symphony where only the opening had been fully orchestrated. A completion of the work by Anthony Payne has been performed and recorded - see also the recommendations below. The composer's birthplace is now a museum, and a commemorative statue to the composer can be seen in Worcester. Note that the phrase "Pomp and Circumstance" which Elgar uses for his set of patriotic marches, comes from Shakespeare's "Othello".